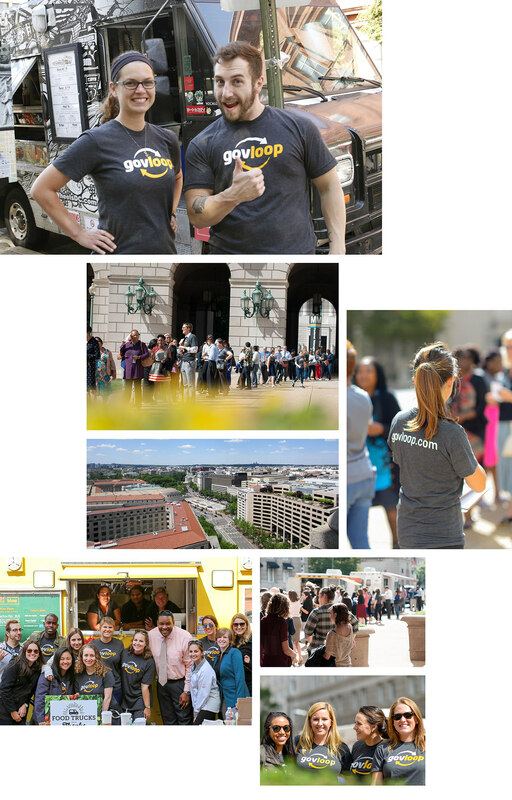 GovLoop, located in the heart of Washington, DC serves a community of more than 300,000 federal, state and local government public servants. 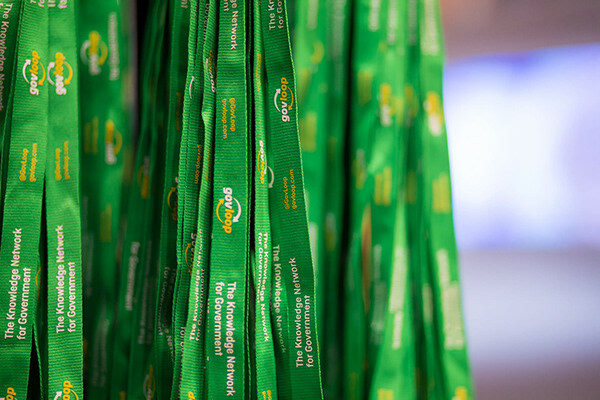 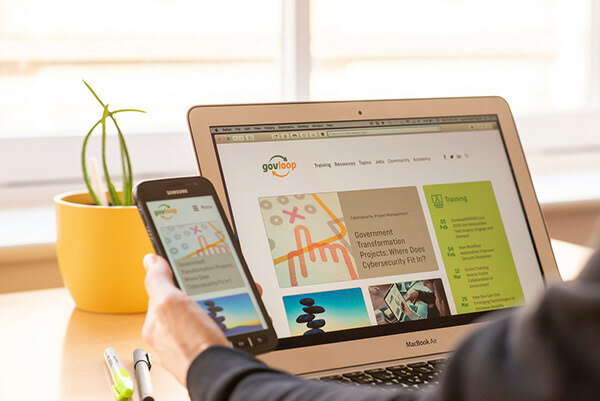 The core mission is to help government employees to do their jobs better, and advance in their government careers. 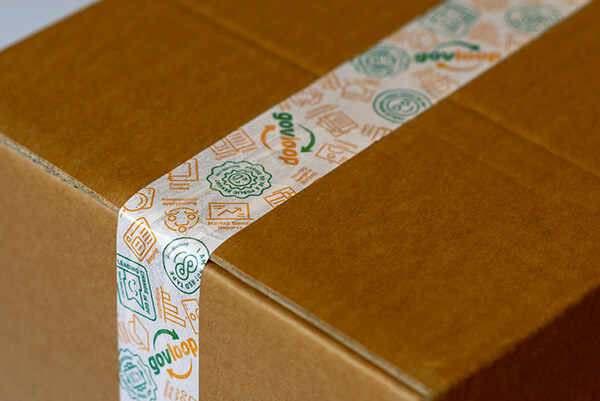 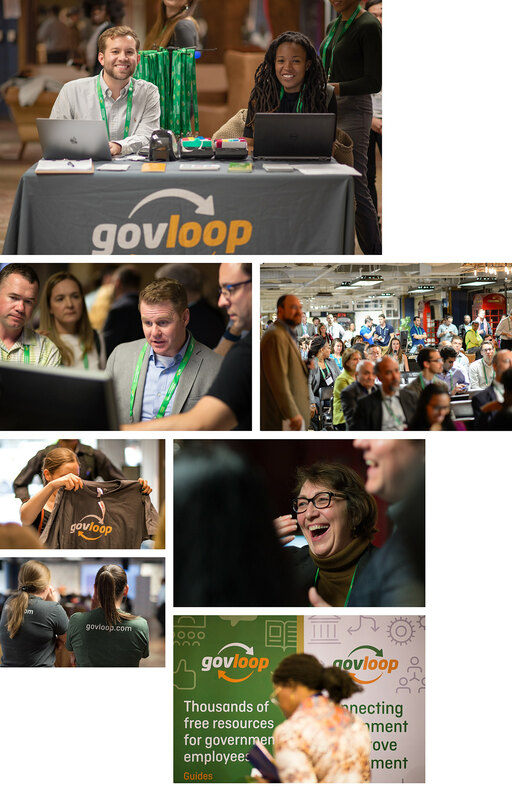 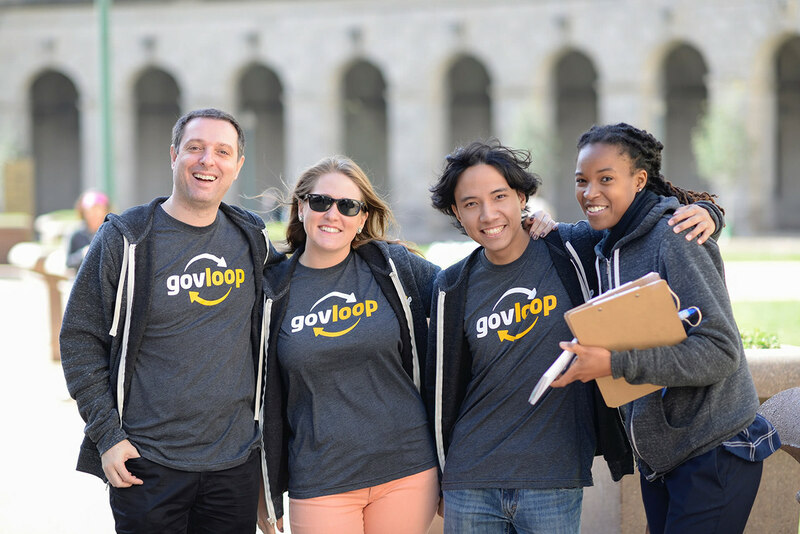 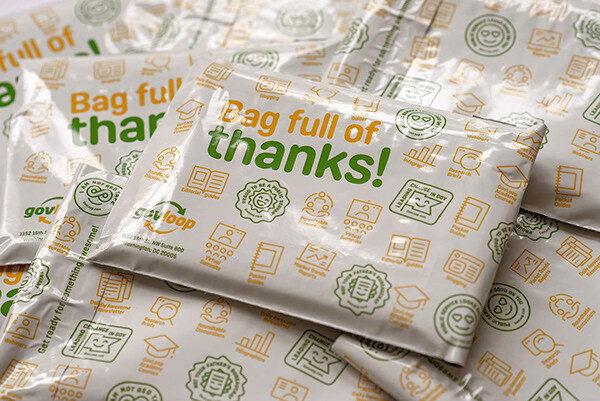 GovLoop SWAG goes far beyond its simple definition of the “Stuff We All Get”. 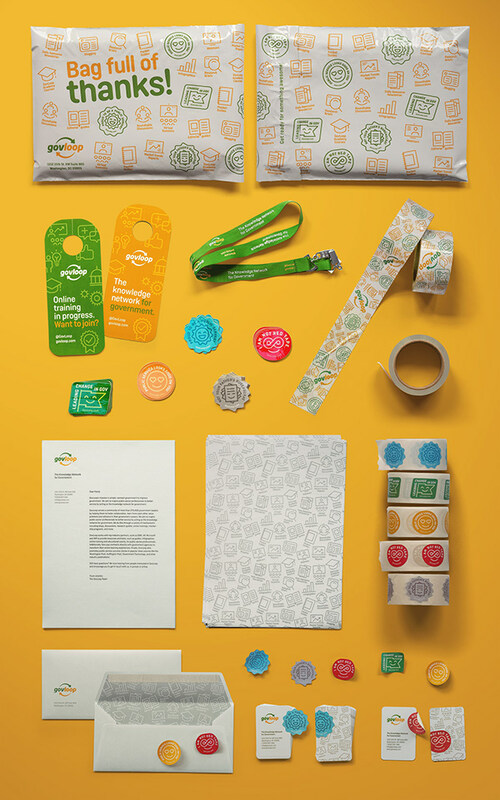 It’s all about the coolness of the brand. 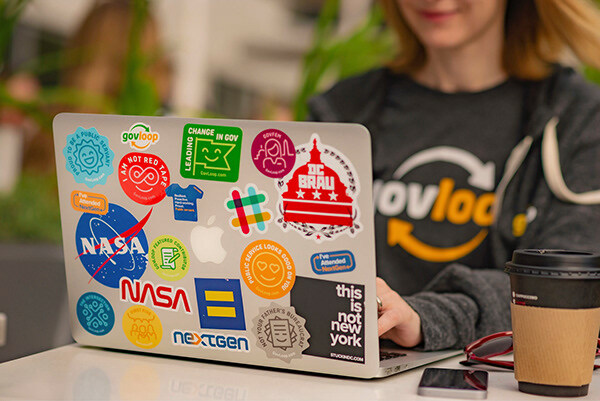 GovLoop’s signature t-shirts and stickers are intimately related to the corporate culture, its philosophy and its tone of communication, friendly and fun. 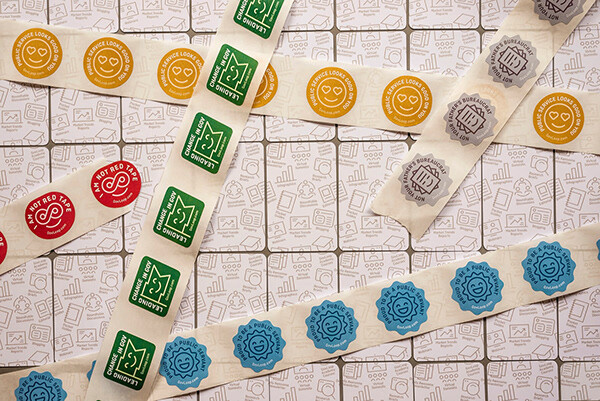 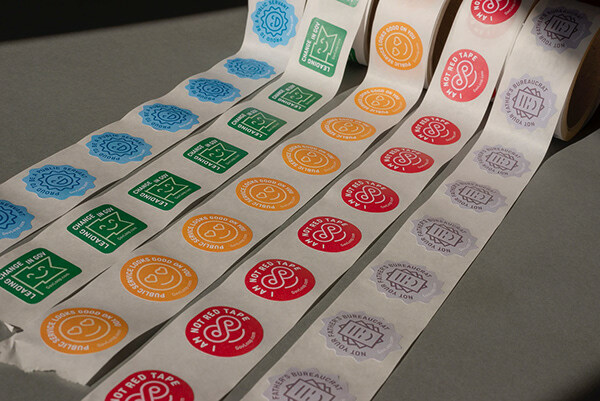 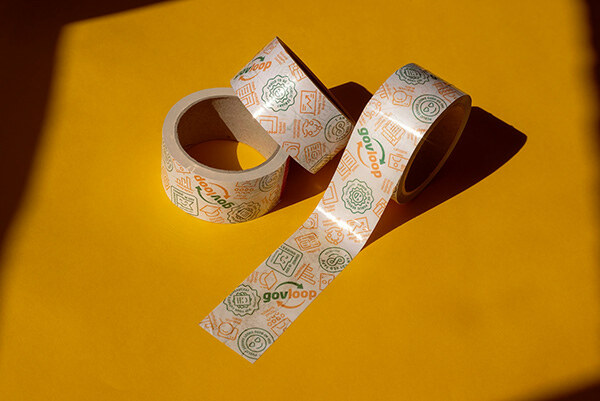 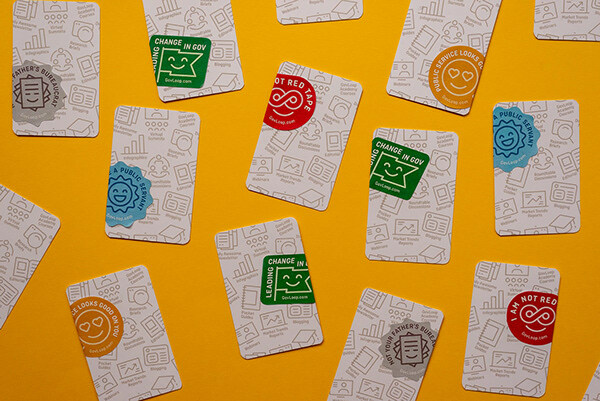 The leading role in the new identity relies on the SWAG: the freshness and positivity turns each sticker into a smiley and funny character with personality and life of its own that imprint their charm on business cards, stationery, envelopes or even on the packaging tape. 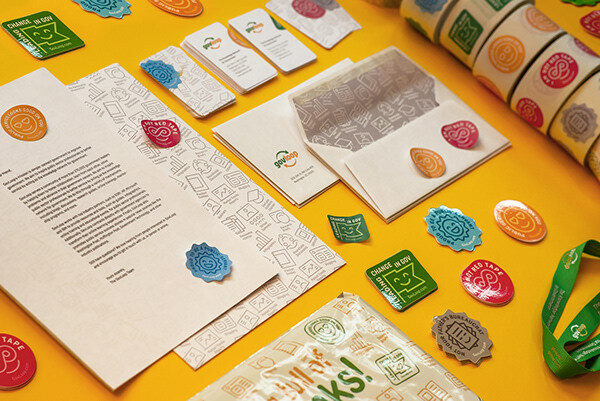 The main underlying concept to convey throughout the brand identity is "friendliness": a color palette that conveys diversity and candor, together with Ciutadella Rounded, a typeface that conveys character and kindness. 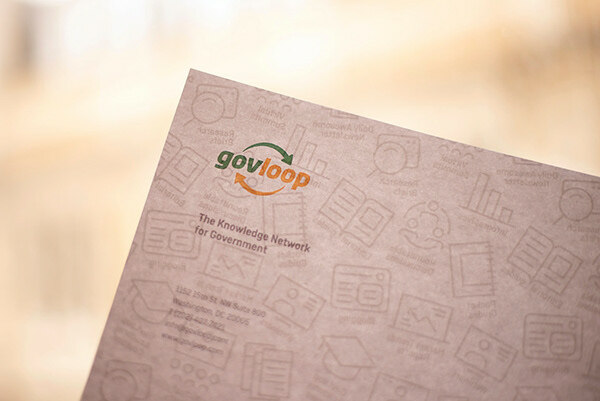 GovLoop's editorial publications make intensive use of the bespoke made icon library, typeface, and color palette. 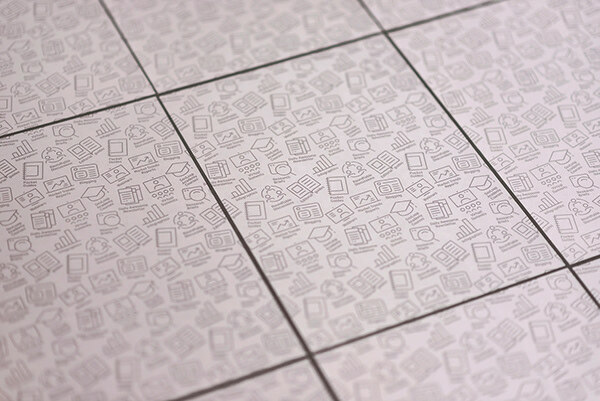 These three ingredients combined creates a distinctive, clean, and charming style that invites an entertaining reading, which reinforces its inspirational aim. 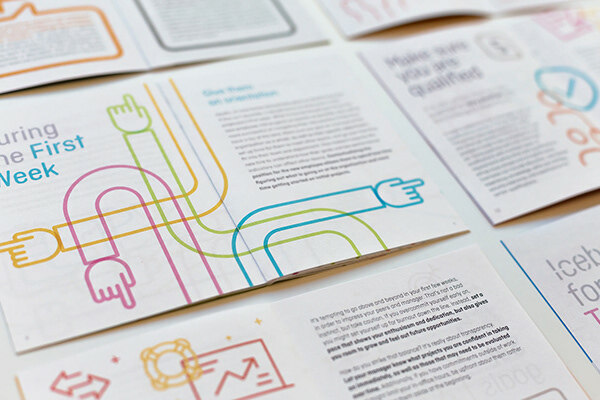 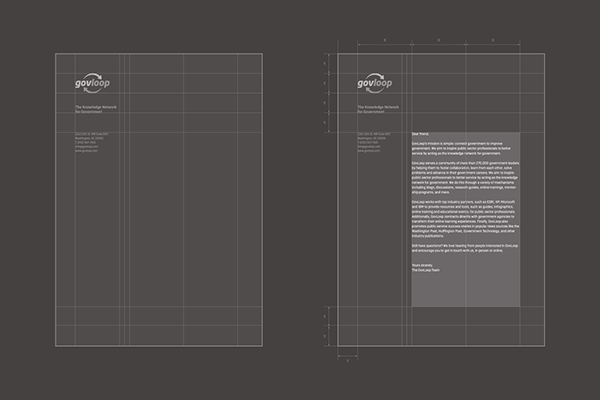 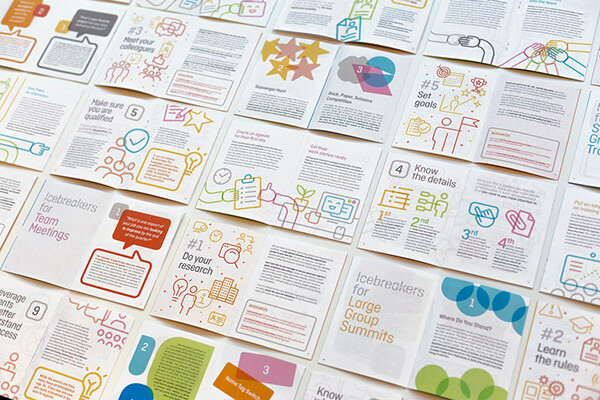 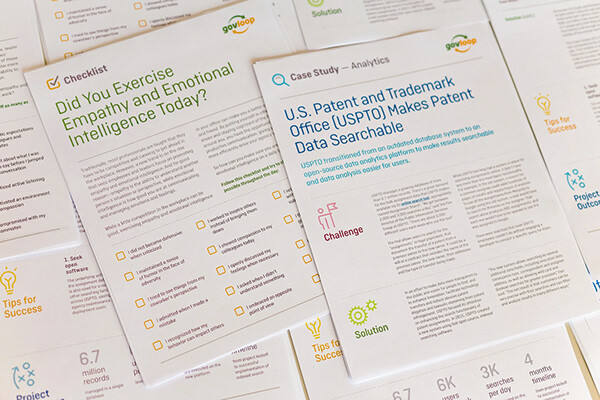 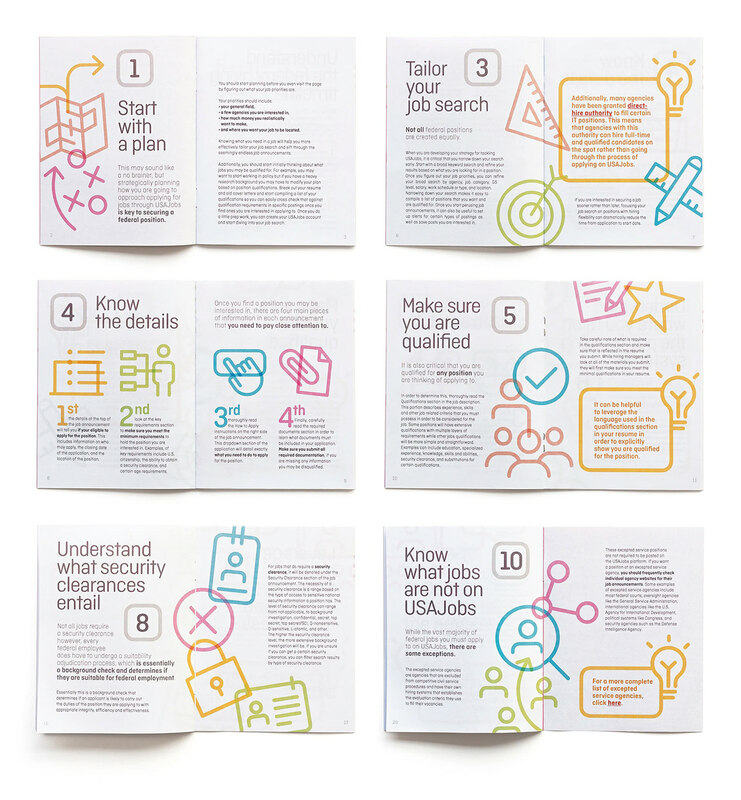 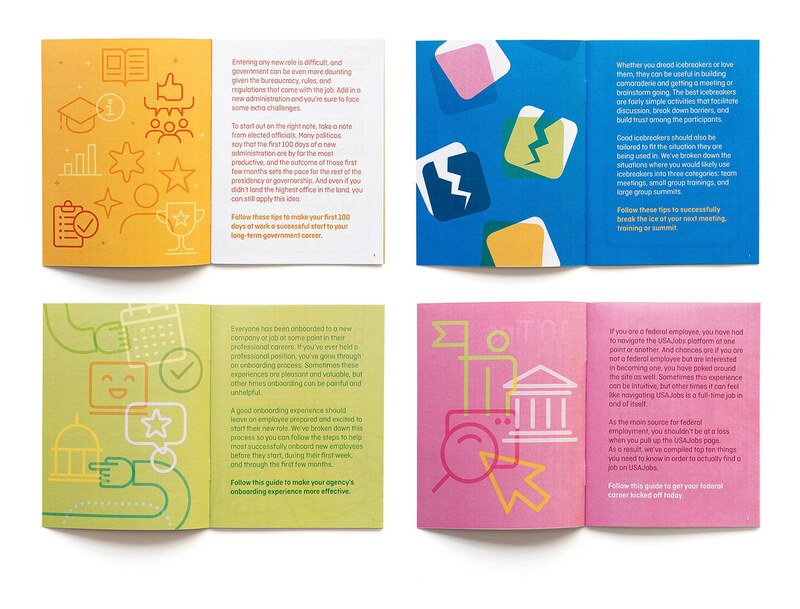 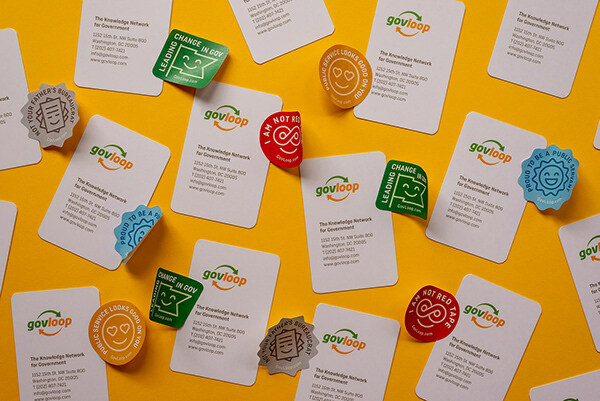 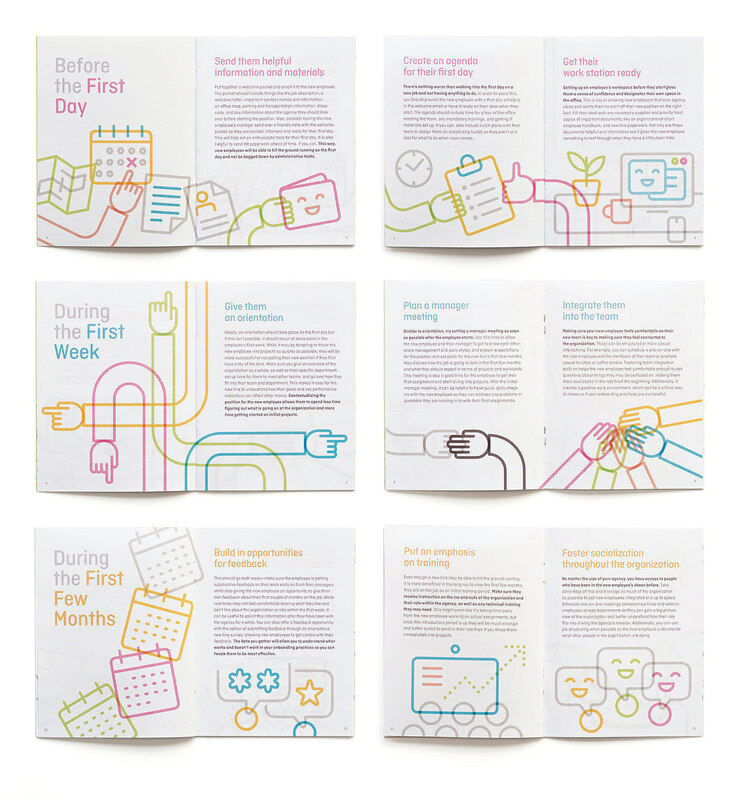 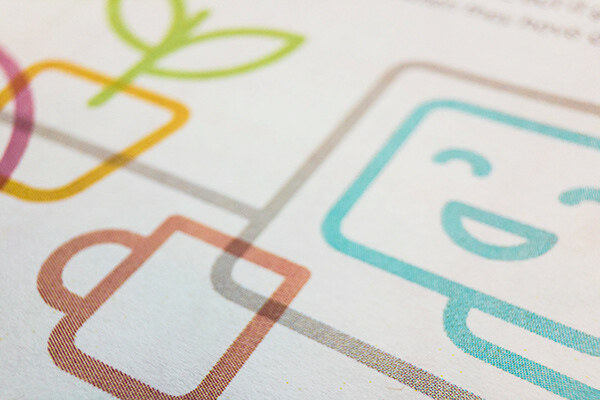 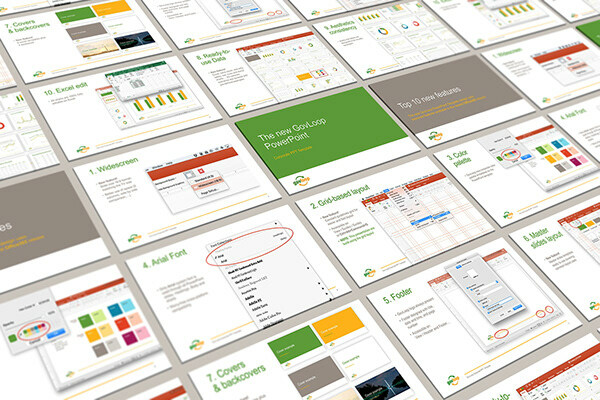 A case study of the brand redesign of GovLoop, a media company based in Washington, DC. 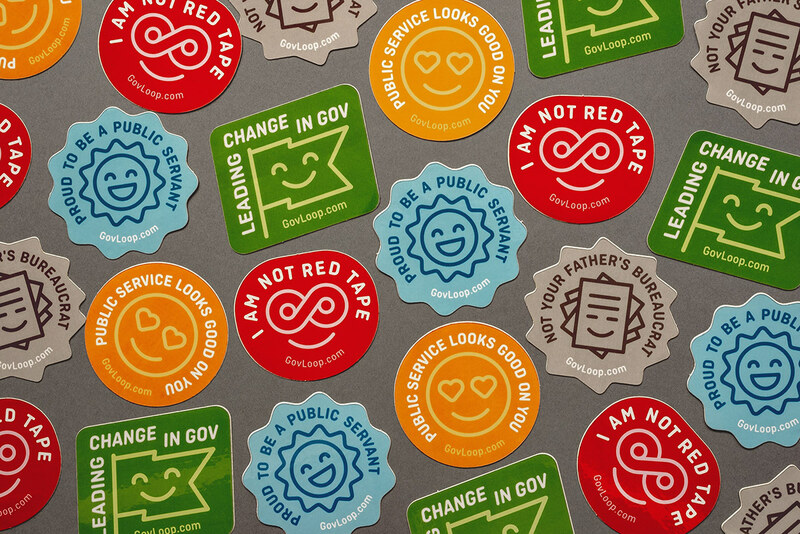 Having as its main audience the community of U.S. government public service, the image is fresh, friendly and fun.